With Netflix beginning to work with vendors on integration of their "watch instantly" movie streaming, Home Theater PC Owners have been longing for support for their HTPC's. Starting today, you can manage your Netflix Queue, browse movie previews and even play "Watch Instantly" movies right from the comfort of your living room sofa using a remote if you have SageTV or Vista Media Center. I've been trying the SageMC plug-in out and it works great. It's really makes Netflix more accessible when you can watch the previews and streaming movies from your TV instead of a laptop. We'll be using this feature to catch up on a few TV show episodes we've missed (The Office for example) and the preview feature will come in handy as well. 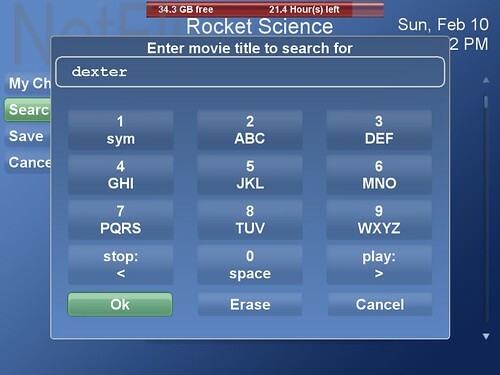 One thing to note, for viewing instant-watch movies, you can launch the movie, pause and play (with the enter key on your remote) and exit playback all using your remote control, but you can't rewind or fast forward using your remote. For those of you with Vista Media Center, Chris Lanier mentioned that Anthony Park released his MCML plug-in called MyNetflix for Vista Media Center. Now we'll see what Netflix has in store for the watch instantly service once they and LG releases those set-top boxes. 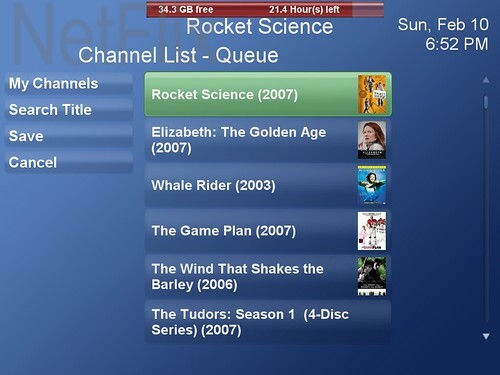 Hopefully the service will carry improved movie content and these excellent HTPC plug-ins will still be able to work to watch those movies via the 10-foot interface we know as the HTPC!